Get a deeper understanding of your customers. ServerOwl gives you the free tools you need to analyze data for your business in one place. Knowing how new traffic and customers interact with your website means you can make business decisions with confidence. ServerOwl gives you powerful insight into the behaviour of your customers, and the performance of your website in meeting their needs. The best part? You can instantly access website analytics and tracking with ServerOwl, 100% free - no credit card required. How are you currently driving traffic to your website? Being able to instantly access website analytics means you'll be able to gain valuable insight into your marketing performance, at a glance. What call-to-action buttons and offers are working, and what's not on your website? With ServerOwl's popular clicks feature, you'll instantly be able to see what parts of your website are converting. There could be a crucial piece of information missing, an unclear next step or button, incorrect information or even 404 errors on your webpages you might not be aware of! With ServerOwl's exit point feature, you'll be able to see when website visitors are leaving or exiting a page. Bounce rate is essentially what percentage of people 'bounce' or quickly leave your website homepage. Having a high bounce rate means there's likely something missing from your homepage - something that's not grabbing attention, providing clear information, or offering a clear call-to-action button. The average bounce rate varies from industry to industry, but a good rule of thumb is to keep it below 50%. Plus, if you choose to upgrade to a paid plan with ServerOwl, we'll send you a monthly report for peace of mind. No more logging in and out of a bunch of platforms - you'll receive an easy to read report at the end of every month. 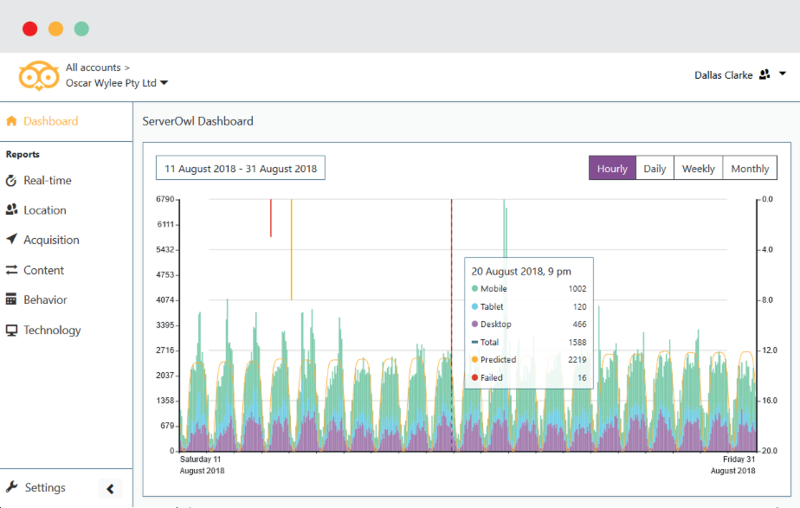 Create a free account with ServerOwl and tap into website analytics and tracking.